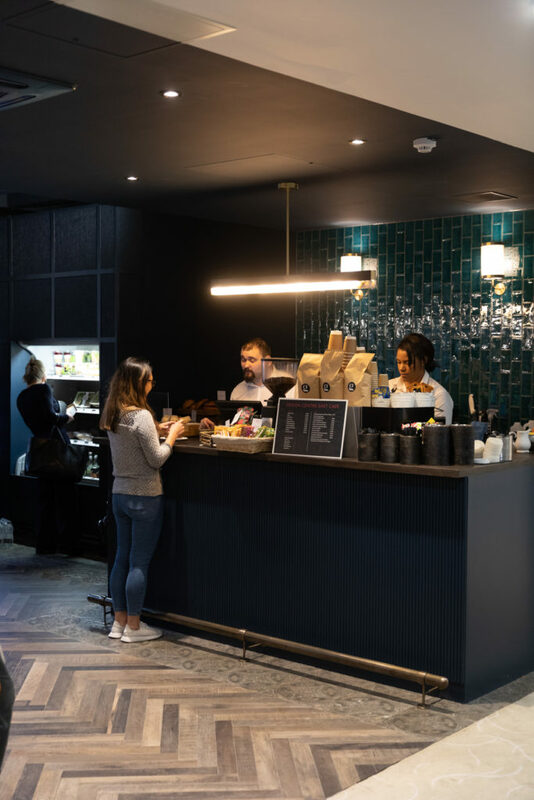 Newly expanded, the Second Floor Café in Design Centre East is now a richly decorated space that demonstrates the craftsmanship on offer from many of the showrooms. 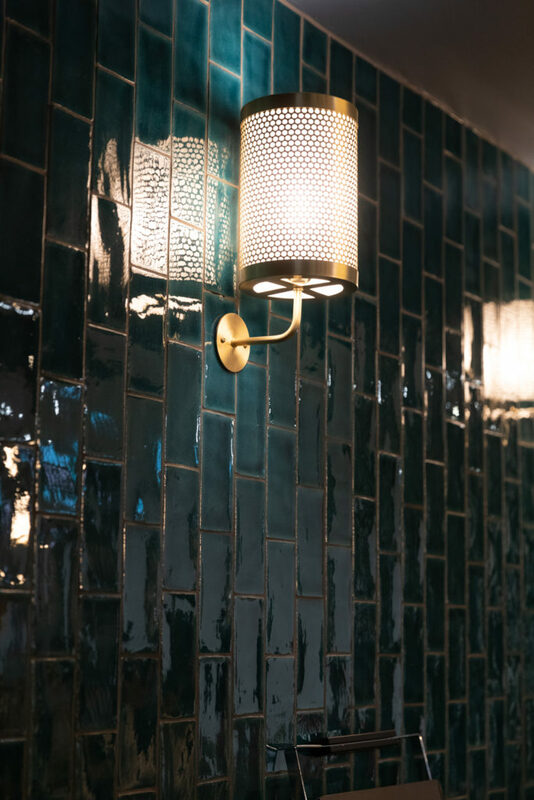 Glossy dark teal tiles from Artisans of Devizes contrast with Watts of Westminster’s florid ‘Wolterton Verdure’ digitally printed wallcovering, while smart brass lighting comes courtesy of CTO Lighting, new to the Fox Linton showroom. This intimate setting is the place to pick up soup, a sandwich or a salad, or enjoy a grab-and-go coffee or cold-pressed juice. 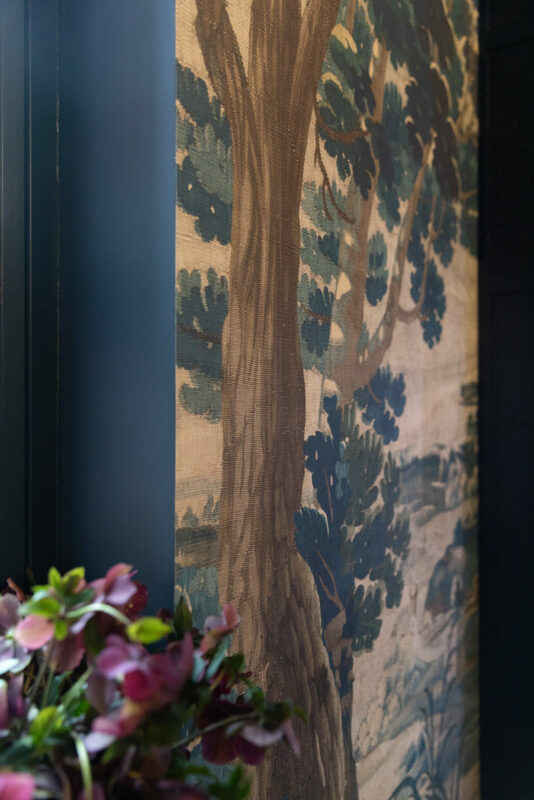 The space also incorporates ‘WPR Silver Leaf’ wallcovering from Altfield, in a subtly shimmering gold and silver; ‘Stella’ leather upholstery in Caspian Sea from Edelman Leather; and ‘Wharfside Porcelain Quercia’ floor tiles from Artisans of Devizes, a rustic oak-effect porcelain. Location: Second Floor, Design Centre East (opposite bridge link).